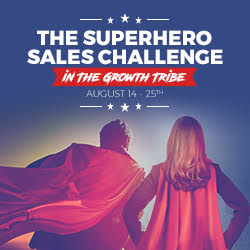 On August 14-25 Powerful Sales Solutions is offering a free 12-day Superhero Sales Challenge specifically designed to solve the most common B2B sales challenges. Remove the awkwardness from the sales process, with an Offer to Serve Methodology any business can level up their sales superpower, and grow! Sales are the lifeblood of any business; without sales there can’t be profits, and without profits there can’t be growth. Daniel Moskowitz, Founder of Powerful Sales Solutions, understands the nuances and pain points of the B2B sales process, and has developed a unique Offer to Serve Methodology for a successful sales strategy. Join the free Superhero Sales Challenge and transform your business! Aimed at entrepreneurs and businesses experiencing low or stagnant sales, the Powerful Sales Solutions 12-day Superhero Sales Challenge dives into the Offer to Serve Methodology. It provides strategies to change how B2B leads are nurtured to the point of sale, strategies to develop long-lasting, positive client relationships, and guidance on scaling with growth. Every Superhero Entrepreneur who accepts the Superhero Sales Challenge gains access to the Facebook group where all the action takes place, including daily Superhero Sales lessons, advice, tips, and discussions. Additionally, valuable bonus material is also delivered via e-mail. Topics will include B2B sales strategies, customer journey, sales funnel optimization, communications, client relationships, and more. Remove the awkwardness from the sales process. With an Offer to Serve Methodology, any business can level up their sales superpower and grow! Daniel Moskowitz is the Chief Mentor and Founder of Powerful Sales Solutions. As a B2B professional for over 15 years in multiple industries and sectors, Daniel is on an epic mission to change the way B2B sales are conducted. With a focus on Daniel’s Offer to Serve Methodology, businesses have a positive way to boost sales, develop amazing client relationships, leave a lasting legacy, and grow. Powerful Sales Solutions helps businesses develop and implement a powerful, successful, and sustainable sales engine.